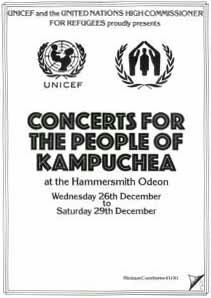 During the four nights after Christmas in 1979, a number of musicians got together at the Hammersmith Odeon in England for a series of benefit concerts to provide famine relief to the victims of Pol Pot’s Khmer Rouge regime in Cambodia. 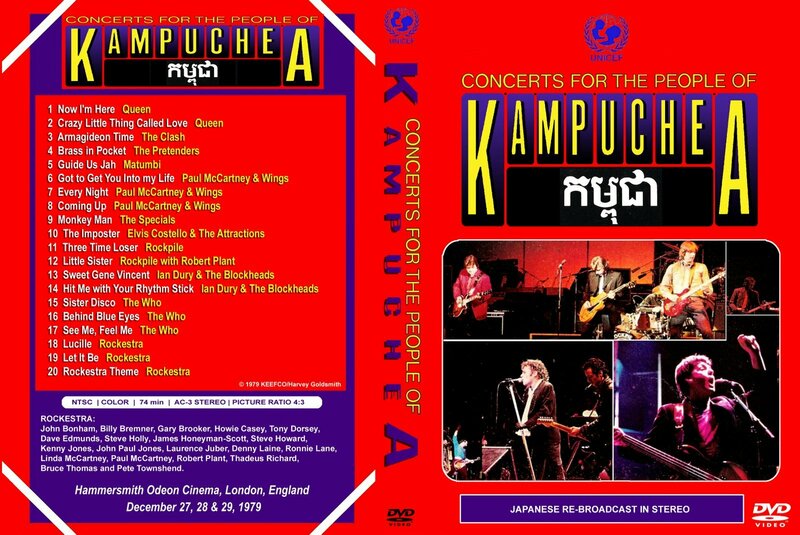 The event was organized by Paul McCartney and Kurt Waldheim (who was then Secretary-General of the U.N.), and it involved older artists such as McCartney and the Who as well as younger new wave acts like the Clash and the Pretenders. 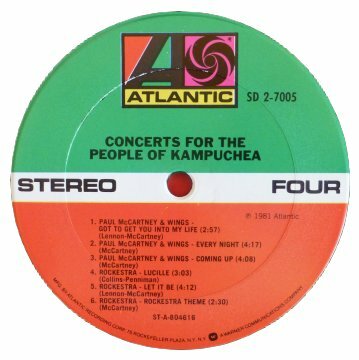 A 2-LP set titled Concerts for the People of Kampuchea was issued in 1981, containing selected highlights from the four evenings. 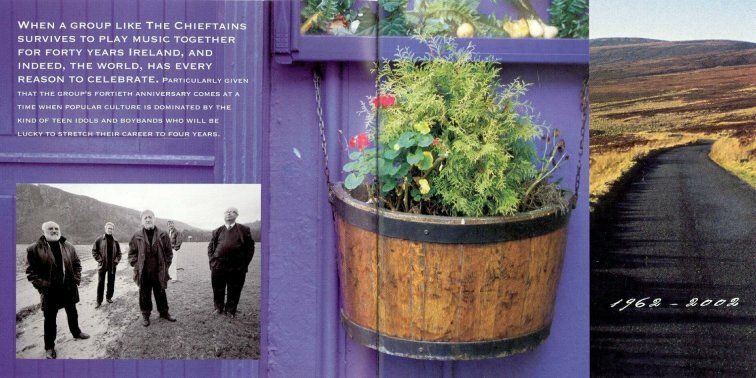 It’s good to have some historical document of this event. 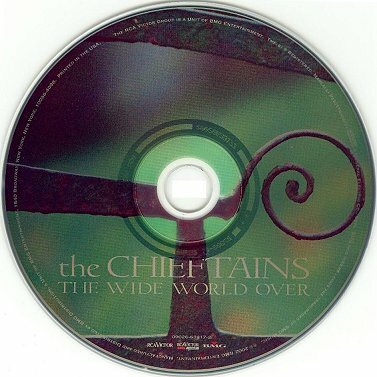 Although the album isn’t the best of its kind, it does capture an interesting moment in rock history. 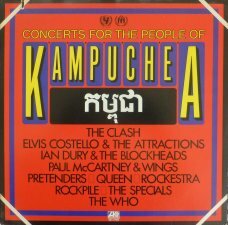 Side One is owned by the Who, who reportedly played a three-hour set on the third night. 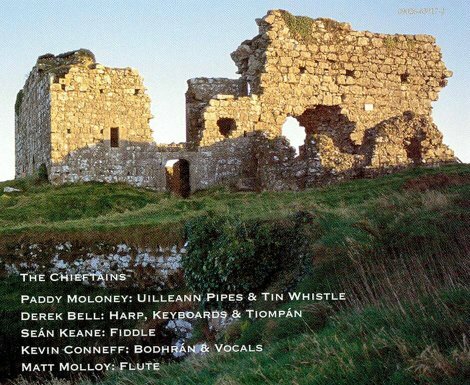 The four songs contained here are well-played by the post-Keith Moon quartet. It’s not exactly a Live At Leeds-class performance, but it’s respectable enough. A good performance of the then-timely “Sister Disco” makes this set unique. Side Two contains three songs by the Pretenders (the original lineup, no less) and one from Elvis Costello. It’s good to hear lively performances by these new wave icons in their prime, but the high points of this side are the two rollicking numbers by Rockpile, featuring Nick Lowe and Dave Edmunds. Their guest vocalist on “Little Sister” is none other than Robert Plant, doing his best Elvis impersonation. 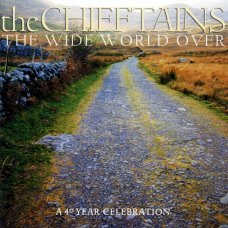 Side Three demonstrates the difficulty of doing justice to so many artists within the constraints of an LP, as it allows only one song apiece for four of the acts. Queen had the first night of the event to themselves, but they are only represented by one long song. The Clash’s set could probably have been represented by a better song than “Armagideon Time”, though the song is appropriately solemn for the occasion. It’s more fun to hear Ian Dury’s goofy “Hit Me With Your Rhythm Stick” and the Specials’ droll “Monkey Man”. The latter is a reminder of the 1979 ska revival in England.